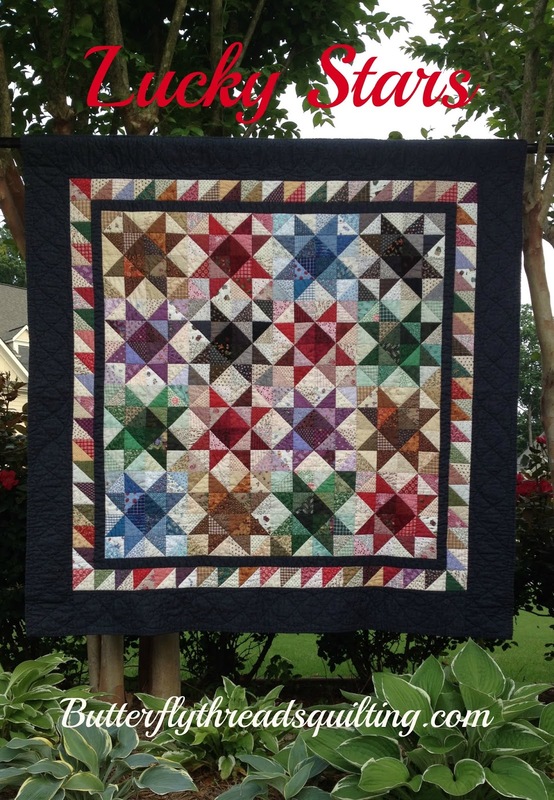 There are some fun things coming soon to Butterfly Threads Quilting! A brand new pattern will be released on April 1st! I've been waiting to share this one with you since last year! It was shared with the IQA group in January when I was the guest designer of the month, but now I can share it with you. I do hope you like it. My friend Tanya over at TanyaQuiltsinCO has made a fun version as well. I think I like hers better! My Printable Brochure that lists my workshops and trunk shows has been updated to reflect some minor changes and new classes. I've added a workshop called "Sewing In Circles" and it's perfect for every level quilter from beginner to experienced. You can choose from one of three patterns to work on and we will discover the best technique for sewing perfect curves every time! Lots of tips and tricks to take the frustration out of sewing curves and you'll never be afraid of them again! 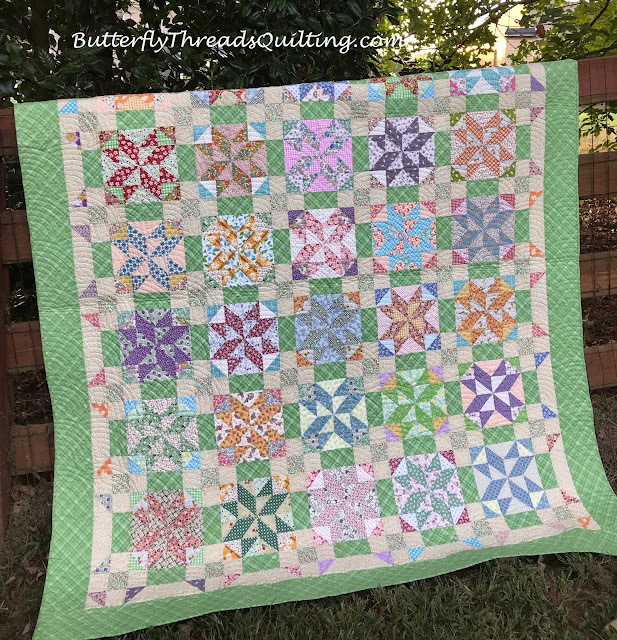 The end is near for our fun Sew Along and I'm thrilled to report that half a dozen guilds and many quilters are enjoying this fun journey along with us! The variations and fabric variety are just too much fun! I've enjoyed this so much, and we are almost ready for the final reveal! If you enjoyed this sew along, check out the Sunflower Sew Along or the Scrappy Star Sew Along that are still available to download for free. I've been in contact with the super folks over at Fave Quilts and have shared another pattern with them. I hope you are going to enjoy this super easy scrap busting pattern. It's one I could make over and over and never get tired of it! 10 Minute Tips for making the most of your time, even if you only have a few minutes! Tutorials for getting things done easily and accurately the first time! Book Reviews for all of your reading pleasure! I hope you are looking forward to all this fun stuff as much as I am!